CICECO » Hydrogen: the future energy vector for sustainable development? Development of a unitary device that reversibly performs the functions of electrolyzer and fuel cell, storing and producing energy when necessary using hydrogen as an energy vector and solving the problem of intermittent energy production by renewable sources. 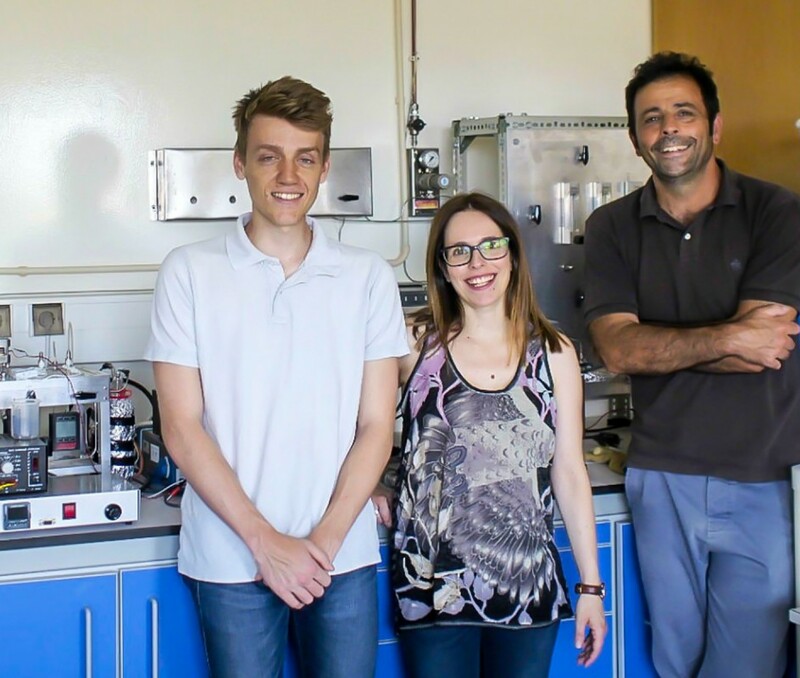 This is the goal of a partnership coordinated by Filipe Figueiredo from CICECO/University of Aveiro (UA), which also involves the study of polymer membranes, composite materials and ionic liquids. This project, called UniRCell - Unitised Regenerative Fuel Cell for Efficient Renewable Energy Supply: from Materials to Device, underlies the idea that hydrogen obtained by water electrolysis using electricity produced from renewable sources - wind or photovoltaic energy, for example - can be stored and, when necessary, converted back into electricity in a fuel cell. Thus, hydrogen becomes the vector of a new energy paradigm. The maturation of fuel cell technologies by simplifying the auxiliary thermal and water management systems of the device, as well as the discovery of new electrolytes and platinumless catalysts, is essential for the integration of the fuel cell and the electrolyzer into a single combined system of fuel cell/electrolyzer. The cost, weight and volume of a combined system are less than that resulting from the combination of separate fuel cell and electrolyzer units, but the materials and the critical functions specifications of the device are also much more demanding. The UniRCell project aims to develop a new generation of high performance, low cost and environmentally sustainable materials, including prototype validation of a Unitized Regenerative Fuel Cell (URFC). The technical activities planned in the UniRCell project include the development of new electrolytes, new bifunctional electrocatalysts for oxygen and hydrogen reduction and evolution reactions, the integration of these components into the membrane/electrode assembly, and the analytical and experimental validation of the critical specifications of the components in laboratory prototypes. On the other hand, numerical tools will be developed to better understand the relationships between structure, ion transport and electrocatalysis, and to better understand the dynamic effects of biphasic flow, heat transfer and mass in the optimization of the device performance. The project is funded from 2016 to 2019 by COMPETE2020 and FCT under the Joint Activities Programme. The partnership brings together a team coordinated by researcher Filipe Figueiredo from CICECO, Laboratory of Separation and Reaction Engineering / Laboratory of Catalysis and Materials (LSRE / LCM, team coordinated by Fernando Pereira) and the Study Center of Transport Phenomena (CEFT, team coordinated by Alexandra Pinto), both from the Faculty of Engineering of the University of Porto, the Associated Laboratory for Green Chemistry (LAQV, team coordinated by Cristina Freire) from REQUIMTE (Faculty of Sciences of the University of Porto), And the Vila Real Chemistry Research Centre (CQ-VR), the University of Trás-os-Montes e Alto Douro (team coordinated by Verónica Zea-Bermudez) on a platform for the consolidation of research and development of hydrogen technologies in Portugal.